We do Income Tax all year round! 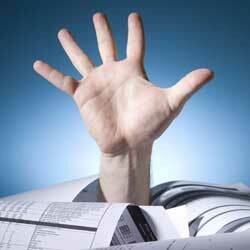 Drowning in paperwork? Call The Office! Looking for an accountant for accounting or bookkeeping services in the Greater Victoria area? the office provides the task-specific help your business needs and the personal touch you want. From pick-up and delivery of your paperwork, to tailored tips for your filing system, our staff specializes in thoughtful, affordable service. No splashy gimmicks, no hidden fees, just friendly and efficient services to make your life easier.